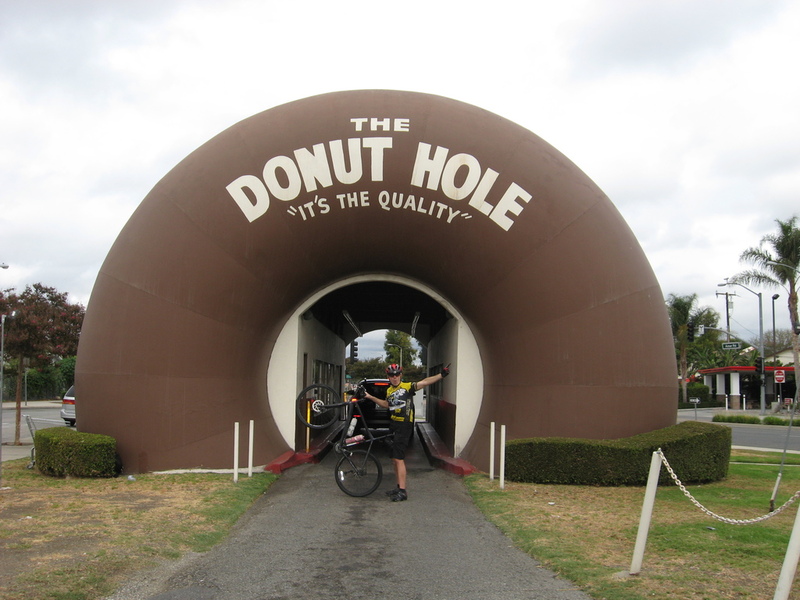 Today’s bike ride was the route out to La Puente to see the Donut Hole. That’s the donut place with the big drive-through donuts on each end of the building. One of the classic examples of programmatic architecture. It was cool and cloudy, and sort of drizzling at the park. When I got there, I was the only one, probably because everyone thought it was going to rain. But looking to the south, away from the mountains, I could see clear skies. So I figured I just start out and see if I found anyone else along the way. And sure enough, when I got to the Rio Hondo bike path part of the ride, I found Michael and Allyson. They had gotten to the park late, and were trying to catch the group. But since the entire group consisted of me at that point, that was all right. We stopped off for a photo-op at In-N-Out University in Baldwin Park. That’s the In-N-Out Burger headquarters building that they built across the freeway from their original location. 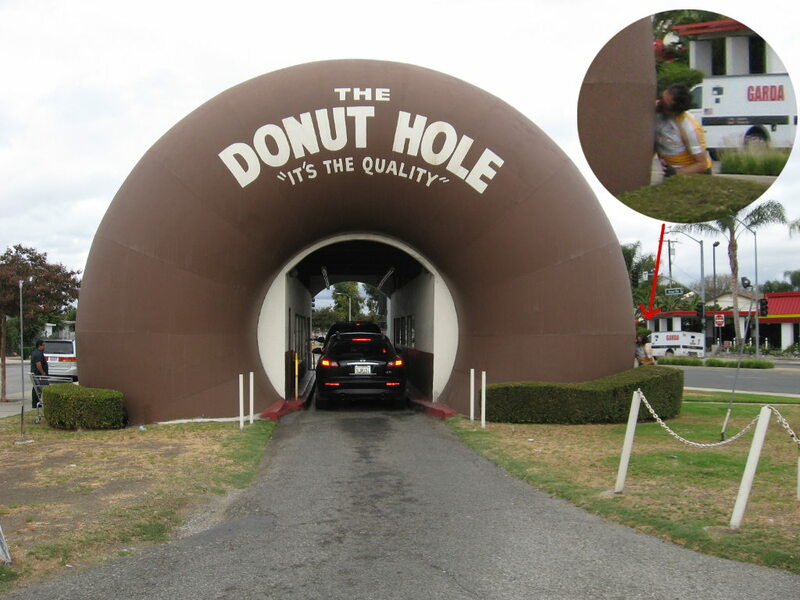 Continuing on, we go to the Donut Hole and took some pictures there. I tried to take a bite out of the donut, but it was just too big to fit in my mouth. The ride back was pretty uneventful. We stopped for snacks at Merengue in Monrovia. Then, on the final ride home, it started to rain in earnest. I was dismayed, but not terribly surprised by this. 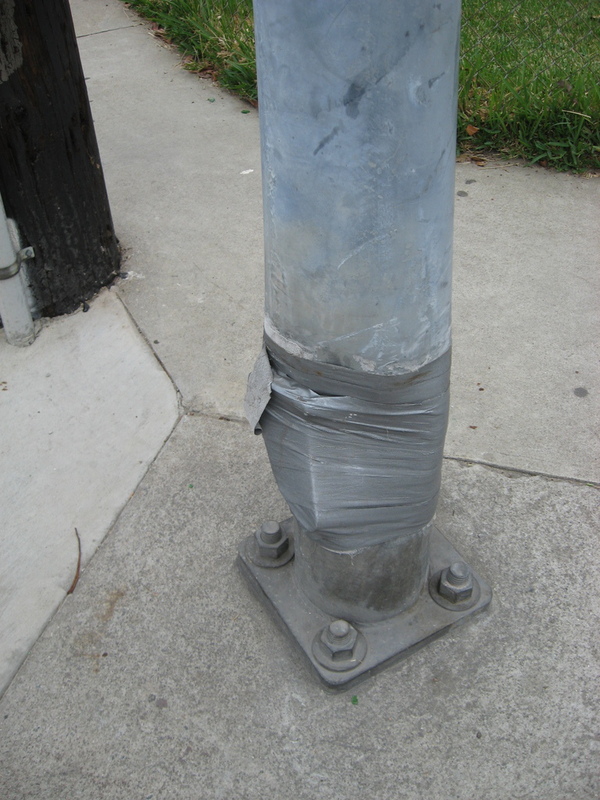 But fortunately, it only lasted for about 3 blocks. So overall, it was a nice ride.